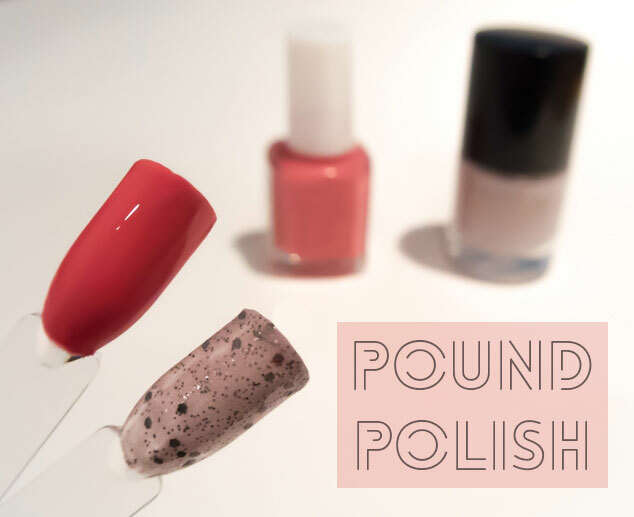 Primark and MUA Nail Polish - Are cheap nail polishes worth it? I’ve never been very brave in branching out to new nail polish brands. I love Barry M, Bourjois, Rimmel, Sally Hansen etc… the main high street nail polish names. I’d only ever looked at getting more expensive polishes to add to my collection but thought I should start looking at cheaper alternatives! I’ve bought £8 or more polishes in the past and sometimes been surprised how quickly they chip with that price tag. If a cheaper polish can last and has a good shade then why spend more? Second cheap nail polish that I would recommend is in the Primark Beauty range. I recently went shopping on a blogger meet up in Hull and had never tried the range before but was easily persuaded too! I chose their spotty polish as it was reduced to £1. It is a very pale purple grey colour and has large and small grey spots in it. Again I was impressed, often glittery polishes let you down, you can’t get an even amount of dots, the polish dries uneven/bumpy or it is all clear polish and no glitter. I applied two coats and it gave an even amount of dots without me trying, very easy and effective. Have you tried these cheaper polishes or have any recommendations?